One thing I would like though, is clarification on global ulties. Can a Gangplank cast Cannon Barrage on top lane for farming, for example? Can Pantheon use his ulti on the Nexus for an execution? I went ahead and took the liberty of making a petition for this cause. Thanks and hopefully it comes to reality. ok, so if my entire team takes teleport, we can all suicide anytime we want to shop...? So really, its a waste of time learning to succeed in the ACTUAL game, throwing out all strategy and trickery to mindlessly face roll a tower? Noobs that play this, are the same ones that lock in EVE/SIVIR/KAT and feed in 5s. A couple of notes on champion selection or items. 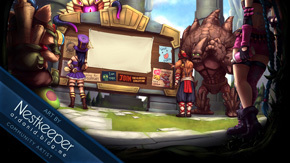 Champion selection: In general, the strongest ARAM teams have two factors going for them, healing and poking. Because you cannot go back to the fountain, champions will often be forced to stick around in fights while they're almost dead. A good healer can mitigate this factor. Similarly, the ability to deal damage to the enemy without putting yourself in harms way is an incredibly powerful factor. Long range stuns or pulls are good for grabbing people who overextend. 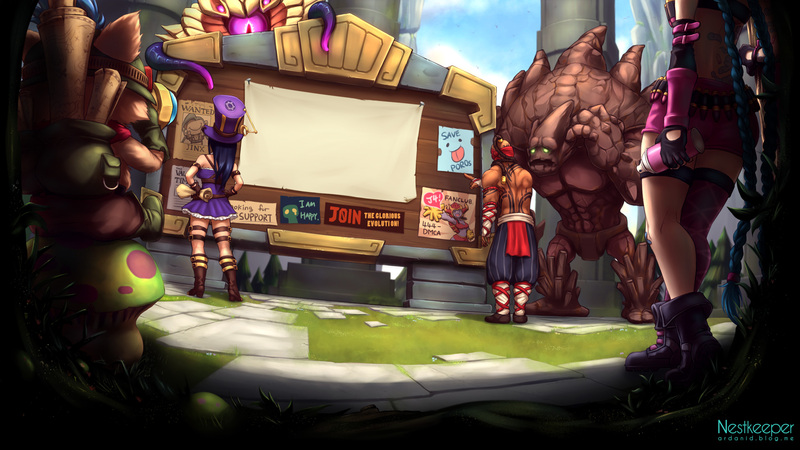 In general these are the strongest champs in ARAM (imho): Nidalee*, Gragas, Blitzcrank, Soraka, and Sona. Melee champions are generally at a disadvantage, while AoE's are a godsend. Item Choices: Of course, you should go for items that fit standard builds; AP for mages, Armor if you're squishy etc, but there are a couple of things you should know. Firstly, auras are amazing. You are pretty much guarantee'd to get the full 5x effect for the entire game. It's not uncommon for mages invest their entire 475 into a mana manipulator to give their team an early edge. Secondly, mana. ARAM tends to be very spam-heavy, so keeping up your ability to poke is good. Finally, you don't get much gold, so go for cheap effective items. *If you are playing ADAM, for the love of god, ban nidalee or grab her first. When ive played this mode (weather it be in DOTA or LOL) you are allowed to walk to base for heal if your team's inhibitor is down. I've been playing a LOT of ARAM, and I've played in a grand total of 1 match (note that most of them were stated as 'standard' rules at some point or other) that allowed GA. I hardly can imagine anyone allowing Fort. Unless there is a glaring discrepancy between team makeups, or team skill level, then on the rare occasion that most of one team is dead, the Fort shuts down any chance at ever doing any damage to the turret. Just seems kind of wacky to me - these banned components are banned because their function works directly against what makes ARAM fun (and not impossibly one sided, or excruciatingly tedius). Is the champion: Janna Allowed?